The excitement of buying a car can be quite overwhelming. Model, make, colour, miles, and the option of choosing a new or used car all come into play. But how do you decide between a new and used car? Does it really matter? The answer is YES. 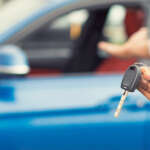 Here are some things they don’t normally tell you when purchasing either a new or used car. Oh, we just adore that new car smell, flawless exterior and top of the line gizmos! But apart from everything being brand-new, chances are good that it will also come with a factory warranty and service plan. Because it’s new, the car will most likely have little to no repairs and your main focus for the next couple of years will be maintenance rather than major repairs. What you might not know is that dealers will sometimes offer you flexible payment terms and lower financing rates over a period of up to 7 years! Ask your bank if they offer lower financial rates for your new car. ‘Why on Earth would they do this?’ you might ask. The answer is simple. Because the value of the car hasn’t already been hit by depreciation, it still holds most of its value! Just take note that the monthly payments and interest rates might go through the roof and cost you way more in the long-run. Our suggestion: find a dealer that will offer you other incentives instead like cash rebates and cash-backs. While it might not have that immediate appeal, you will save quite a bit on the initial offer. It never hurts to ask, so make sure to bring this up with your private seller or dealership: ‘Do you offer the remaining balance of the factory warranty?’ Chances are good that you’ll be able to extend the warranty for an additional cost. This will definitely come in handy, especially if the car is an older model. Used cars are high maintenance and because you have no idea how the previous owner treated the car you might find yourself checking it in sooner for maintenance checks than with a new car. What they don’t tell you is that buying a new car makes no sense from a financial point of view. Once the tires hit the road it starts depreciating. Used cars don’t have that issue. Basically, you let someone else take the financial depreciation hit on your car. 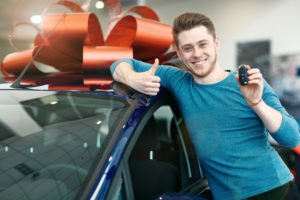 You’ll find that when you want to resell the car, that you’ll be able to get it for nearly the same as what you bought it for! Just keep in mind that while a car is no investment, it’s still very important to do your research in order to pick the car that suits your lifestyle, wallet and needs. As a rule of thumb, pick a car that you can pay off in under 3 years. If you can’t, you likely can’t afford the car.